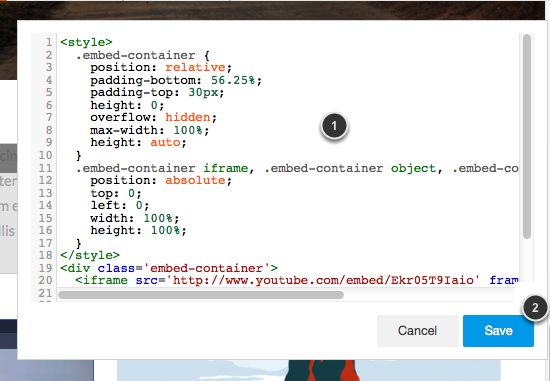 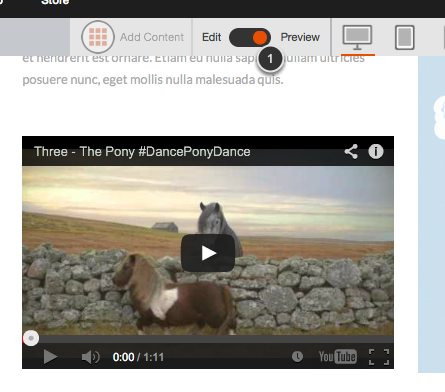 Click on Add content (1), find the Embed widget (2) and drag it to the body of your page (3). 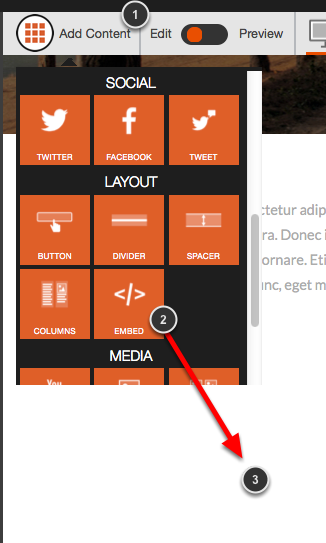 You can not add a widget to the header or footer. 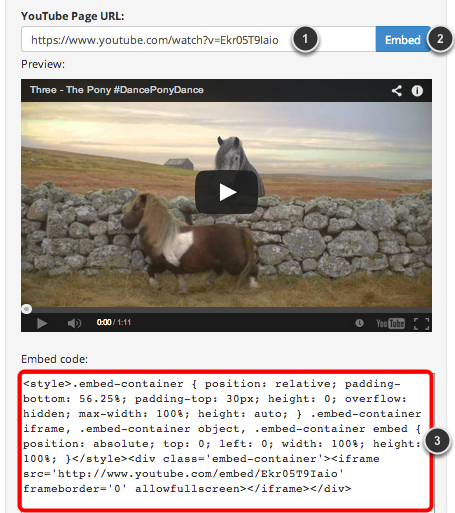 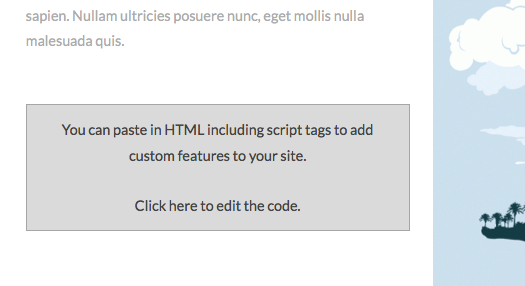 Paste the Embed code (1) and click on Save (2).